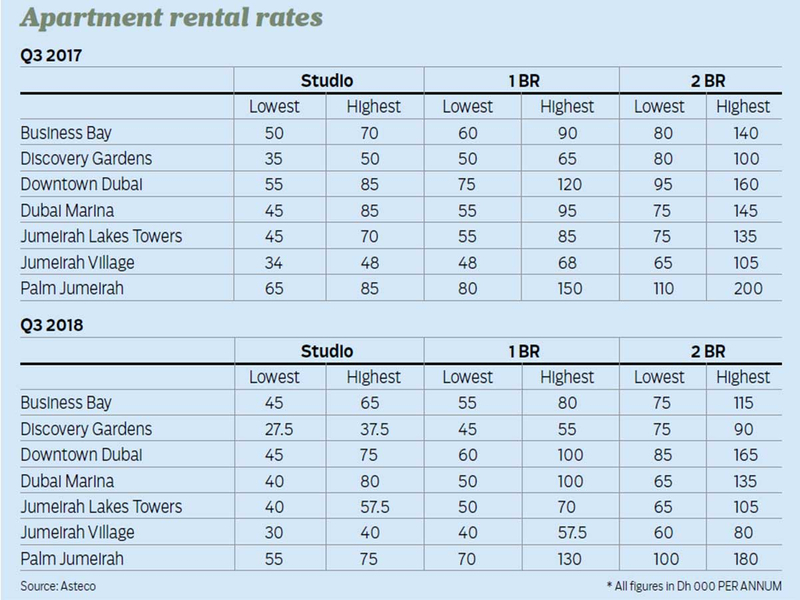 Dubai: The pressure on Dubai’s residential rents remains relentless. Just about every community — whether they feature towers, mid-rises or villas — in the city has seen drops in the double-digits in the last 12 months. Those at Downtown and Discovery Gardens have dropped by 12 and 14 per cent, respectively; at Jumeirah Village, the decline has been around 15 per cent in the 12 months up to September end. 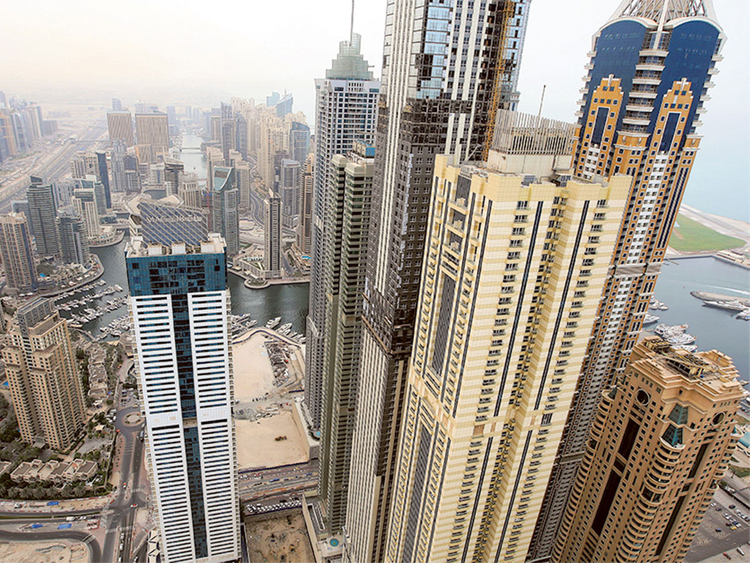 The only exception to the double-digit drops is at Dubai Marina, where rent declines averaged 8 per cent during this period, according to data from Asteco, the property services firm. In Asteco’s estimates, the five communities that have seen rent dips above the market average are Al Furjan, Jumeirah Park, Jumeirah Village, Discovery Gardens and Jumeirah Beach Residences. So, for tenants wanting to get as much savings they can squeeze on their rental outgo, these are good times. But spare a thought for all those landlords … and those who will be turning landlords shortly. Because with each new apartment getting delivered and put up for rent by an investor-landlord, the chances of getting their asking rate is remote. The only option is to make cuts — deep ones — on their expectations. The rental slide is also being felt by developers. Many a developer had made sales based on “guaranteed” rental returns for buyers. These annualised guarantees would range between 8-12 per cent of the property’s value. But these guarantees are turning out to be quicksand territory — in the current market environment, there is no way a developer can assure buyers of what their likely rental returns will be next quarter, let alone next year. Some developers have tweaked their sales pitches accordingly. Sun & Sand Developers, for instance, is offering incentives that offer cashback, in case a buyer were to lose his job at any point before the unit’s handover. More than 3,000 new homes are being delivered this quarter alone, taking the full-year total to about 15,000 units. For investor-buyers and developers fixated on rental returns, what does the immediate future hold? “There has been a slowdown in project launches, which may slow the delivery of new stock in the medium term, if new announcements don’t pick up again,” said Stevens. “But in the short term, extensive post-handover payment plans encourage developers to complete their projects in time in order to collect the outstanding payments. The supply glut is growing with no tangible end in sight. Where possible, local developers are recrafting their campaigns in tune with market sentiments. Off-plan may be off the radar with investors, but developers are trying to convince them that ready can be good. Such messages come streaming in on emails, messages and on WhatsApp. A recent one suggested that paying Dh78,000 will be enough to move into a completed apartment at Jumeirah Village Circle, with the developer offering financing at 0 per cent interest and 3.3 per cent monthly. With mortgage rates inching up, expect more developers to come in with their own financing promises. All of which will further complicate matters for the rental side of the market. As said before, tenants will have no complaints on this score. All of the pain will only be felt by landlords.